Drive and Steer Postman Pats Van is a Remote Control version of Pat 1 Pat’s trusty Van. 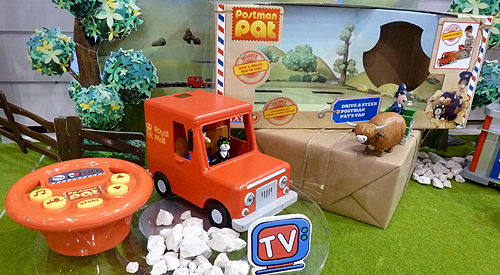 This new RC version of Pat’s Van, Pat 1, comes with Pat and Jess figures and a wire-free remote control unit in the shape of a real steering wheel. 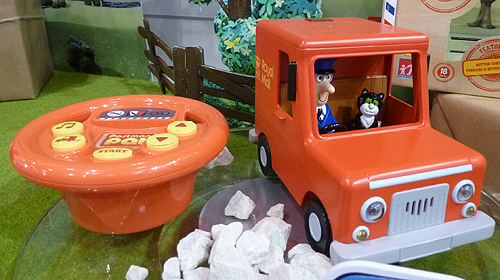 Character’s RC Postman Pat Van features button control forward and reverse functions. This Pat 1 also plays music and phrases from the show.